Regulatpro® Bio is a liquid concentrate of fresh fruits, nuts and organically grown vegetables. Regulatpro® Bio contains vitamin C, which contributes to a normal energy metabolism and supports the normal immune function. Vitamin C also helps to reduce fatigue and fatigue and increases iron uptake. Net content 350 ml. 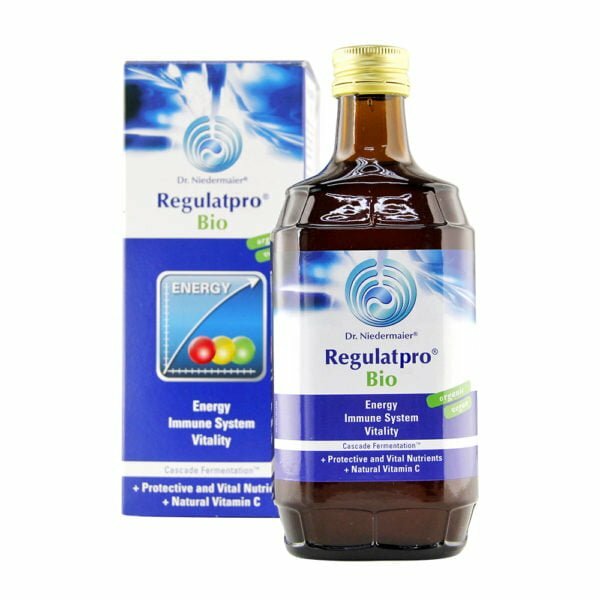 Regulatpro® Bio is a liquid concentrate of fresh, organically grown fruit, vegetables and nuts. Regulatpro® Bio contains Vitamin C which contributes to a normal energy metabolism and supports normal immune function. Vitamin C also contributes to reducing fatigue and exhaustion and increases iron absorption. How is Regulatpro® Bio produced? 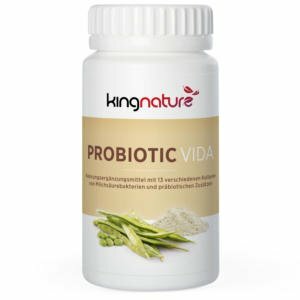 The bioactive substances from the valuable source materials are broken down in a series of fermentation processes into small molecules by the patented cascade fermentation process and made highly available and easier to absorb in a concentrated form inside Regulatpro Bio. 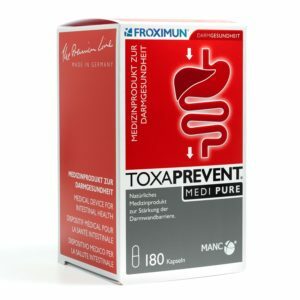 The end-product is a bioconcentrate containing amino acids, dextrorotatory lactic acid and cell wall components of lactic acid bacteria as well as natural Vitamin C.
Cascade fermentation is a patented, multi-stage transformation process which mimics the human digestive chain. Step 1: The ingredients are crushed and poured into a fermentation tank. The fermentation begins with the addition of lactobacilli, which produce dextrorotatory lactic acid. Step 2: After approximately three weeks, the first partial filtration occurs and further lactic acid bacteria are added. This step is repeated several times. This results in a further fermentation step. Step 3: Finally, all fermentation stages are combined and subjected to a final fermentation process. The cascade fermented Regulatpro® Bio is 100% natural! Due to the careful manufacturing process, there is no need for preservatives, dyes, chemical ingredients, additives, sugar or alcohol. 1 bottle contains 350 ml Regulatpro® Bio with the following ingredients: water, lemon*, dates*, figs*, walnuts*, soya beans*, coconut*, onion*, vegetable glycerine, celery*, soya sprouts*, artichokes*, Acerola extract with 17,5% Vitamin C, peas*, millet*, mixed spice*, turmeric*, saffron*. (* = from organic sources, DE-ÖKO-006). Available in stock. Produced in Germany. Regulatpro® Bio is 100% natural and organic. It contains no artificial flavourings or sweeteners, colourings or preservatives, alcohol, yeast, sugar, gluten, lactose or milk. Regulatpro® Bio is suitable for vegetarians and vegans. 10 ml of Regulatpro® Bio mornings and evenings, ideally undiluted and swirled briefly around the mouth before swallowing. For a milder effect, Regulatpro® Bio in can be diluted in a half a glass of water or polyphenol containing juice such as Aronia, blueberry or cranberry. Use within one month of opening. 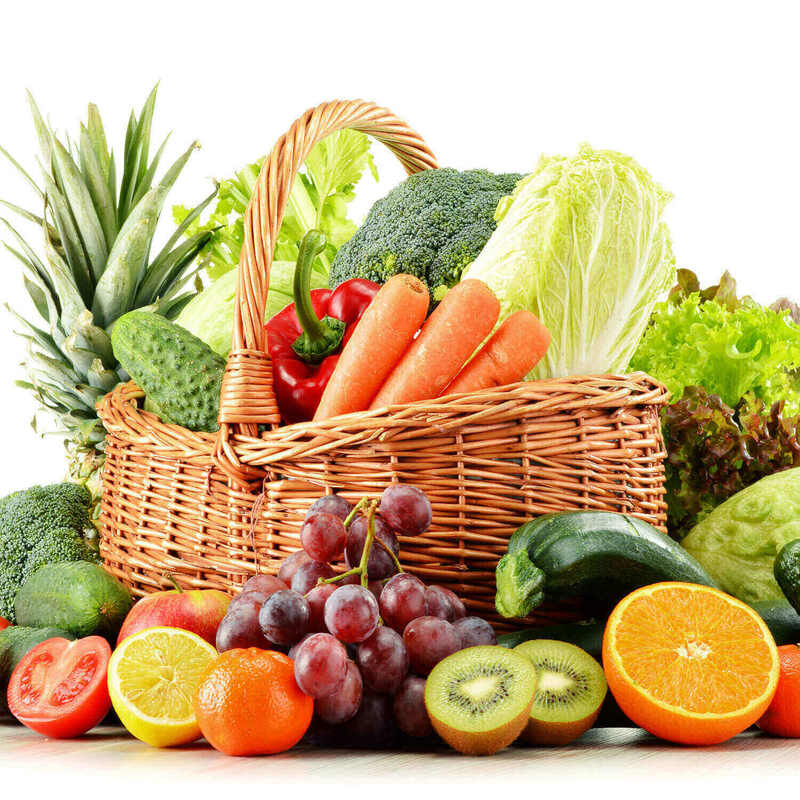 Food supplements are not a substitute for a healthy, varied, balanced diet, fresh fruit and vegetables and a healthy lifestyle. Keep out of reach of children. Do not exceed the recommended dosage.